This 3br/3 1/2ba condo with garage is a WOW from the moment you enter the main living area. 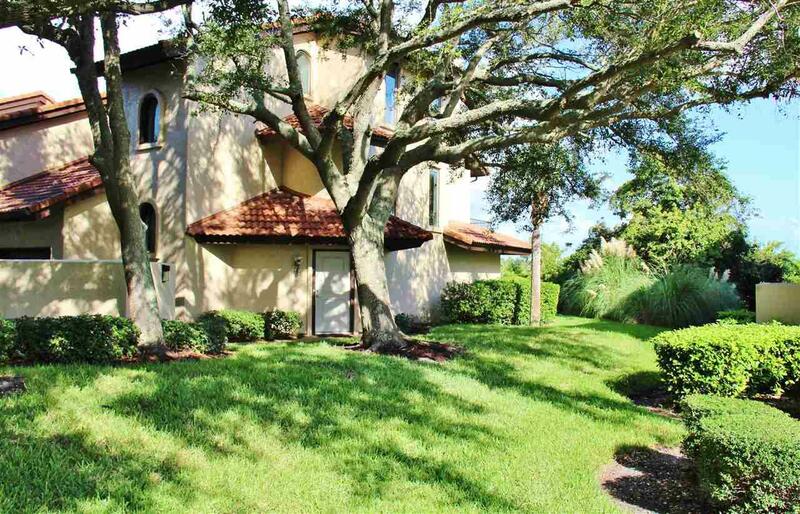 Very open floor plan with breathtaking views of marsh to intracoastal. Just completed remodeling throughout with a very open modern coastal feel. Plank tile flooring throughout main living area, new carpet in bedrooms, new kitchen and baths, expansive sliding glass doors in living area to take advantage of the fabulous views that only Camachee Island has to offer. 2 bedrooms and 2 baths downstairs with a shared glassed in patio. Kitchen, dining and living room with wood burning fireplace and guest bath on 2nd floor. Also a large balcony to enjoy the views! Master bedroom and bath on 3rd floor with small balcony. Privacy for all. Stoll to The Bistro for breakfast and lunch and Kingfish Grill for dinner and just over the bridge to Publix and the beach. Within minutes to downtown. Yes this truly is the FLORIDA LIFESTYLE!